I love Champagne and drink it whenever I get the chance. So when a tasting of 10 grower producers of Champagne was held recently in Chicago, I had to be there, even though I was flying overseas the next day. This wasn't just any tasting, after all. No matter the type of wine, from California to Italian and the world over, most of the finest wines are made by the smaller producers. This is especially true when it comes to Champagne. Not having to please millions of drinkers with a house style year in and year out, these vignerons craft highly individual wines that reflect their vineyards as well as themselves. No make no mistake. I am not criticizing the large houses as most of them do an excellent job, especially when it comes to making a luxury cuvée. Also, just because someone is a grower/producer in Champagne, this doesn't automatically make their wines great. But I find such uniqueness in the wines of the small growers, which is why I'm always excited to try these Champagnes. The recent tasting in Chicago was from a group of 10 producers under the banner Les Champagnes de Vignerons; especially nice was the mix of areas in Champagne represented by these producers, as three were from the Cote des Blancs, three from Le Montagne de Reims, two from La Cote des Bar (otherwise known as the Aube) and two from La Vallee de la Marne. 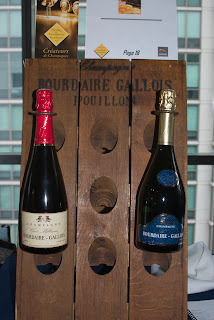 One of my favorite wines was among the very first I tried, a Brut Rosé from Bourdaire-Gallois (La Montagne de Reims). David Bourdaire told me that although this was listed as a non-vintage, all the fruit was from 2009. One other thing to note about this wine is that it is 100% Pinot Meunier, which is a bit of a rarity. Deep color and ripe strawberry fruit were the highlights of this wine, which has very good acidity as well as fruit persistence. I rated this wine as excellent and noted another 3-5 years of aging would improve this wine even more. From Michel Gonet (La Cote des Blancs), where all the products are made from Grand Cru vineyards, I enjoyed the non-vintage Grand Cru Blanc de Blancs, which sported lemon and fresh apple fruit in a truly lovely, elegant Champagne. I also enjoyed 2004 Prestige, a Blanc de Blancs with an earthy finish with textbook biscuit flavors. Several of my top wines at the tasting were from Rémy Massin from La Cote des Bar. 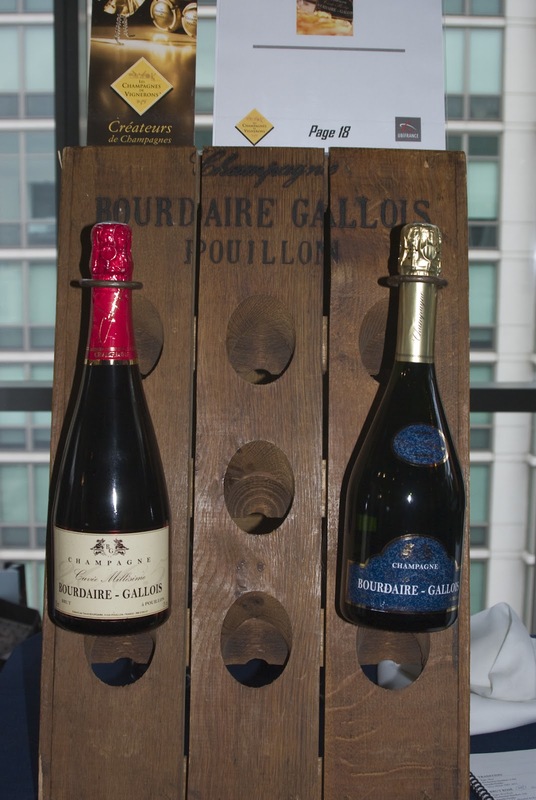 The non-vintage Brut Tradition, a 100% Pinot Noir, is quite elegant with a very long finish. The NV Brut Prestige, a 50/50 Chardonnay/Pinot Noir blend, was my favorite; this wine offers lovely floral aromas as well as a very long, persistent finish. The NV Cuvée Aristide, made from 95% Pinot Noir and 5% Chardonnay, has excellent acidity as well as big toasty, yeasty notes, while the Millesime 2004, a blend of 60% Chardonnay and 40% Pinot Noir, offered rich pear fruit and lively acidity. Finally, I sampled the wines of Champagne Colin from La Cote des Blancs. This firm is located in the town of Vertus, which is home to several great producers, including Larmandier-Bernier and Duval-Leroy. I absolutely loved the NV Rosé, a blend of 15% Pinot Noir vinified as a red wine with 85% Chardonnay. 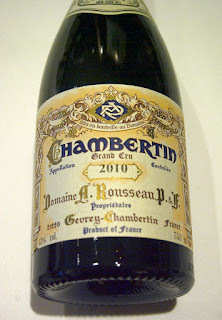 Displaying big aromas of strawberry and black cherry, this is quite rich with a long finish and excellent persistence. The Cuvée Blanche de Castille, a non-vintage Blanc de Blancs has pleasant yeasty, lemony flavors, while the Grand Cru Millésime 2005, also a Blanc de Blancs, has a big entry on the palate with excellent acidity. Proprietor Delphine Colin also sampled out two older bottlings with the initials RA; this referring to Roger Adnot, the grandfather of her husband. Adnot still has a few older bottlings he produced, including the 1985 and 1973. I found the 1985 flavorful with good depth of fruit, but this particular bottle seemed a bit tired. The 1973 however, was in splendid shape. Though lighter on the palate than the 1985, this wine offered more elegance as well as freshness. A 39-year old Champagne - now that's a great way to wind up as special a tasting as this one! The Tre Bicchieri tasting was held in Chicago yesterday following similar tastings held last week in San Francisco and New York City. This is a very unique event, as it focuses on many of the wines that were awarded the Tre Bicchieri (three glasses) rating from Gambero Rosso, Italy's wine bible. 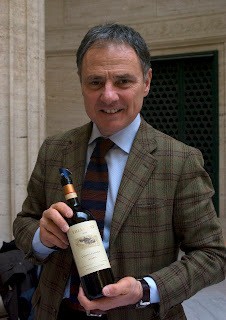 For more than two decades, Gambero Rosso has published an annual guide rating several thousand Italian wines; for their 2012 guide, some 20,000 wines were tasted from a total of 2350 producers, with the final tally being that a mere 375 wines earned Tre Bicchieri status, the highest rating for the guide. How good was this event? What can you say about a walk-around tasting in which both Biondi-Santi Brunello di Montalcino and Sassicaia are poured? 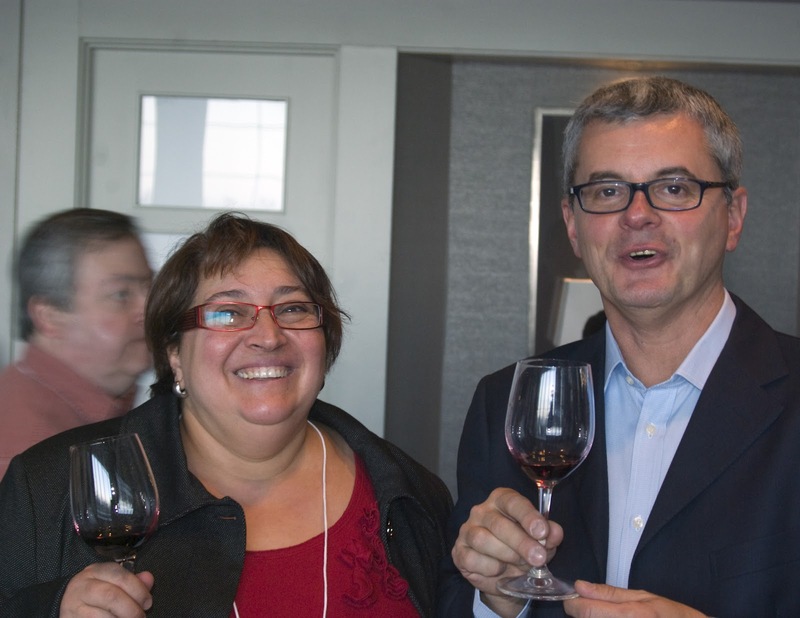 Not only that, but Sassicaia winemaker Sebastiano Rosa was there to pour his wine. This tasting is quite simply, an embarrassment of riches. And I love it! There were great wines in all sorts of categories, be it sparkling, white or red. 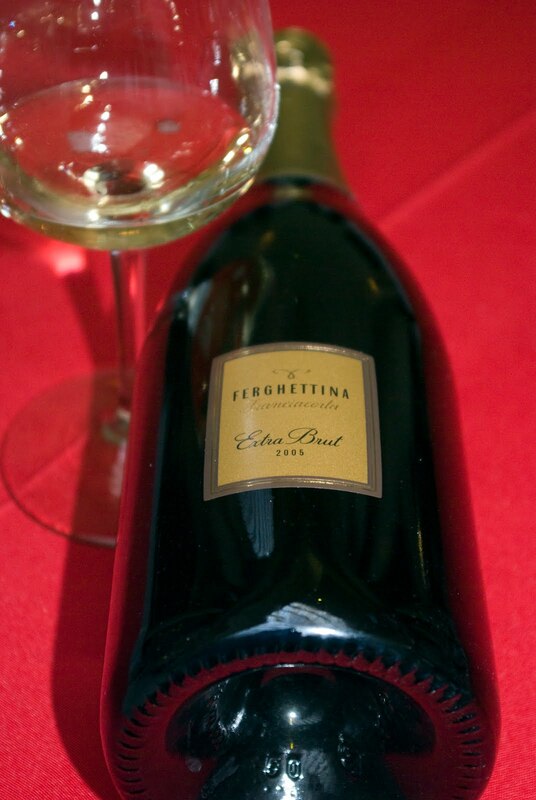 One of the real highlights was the 2005 Ferghettina Extra Brut, a Franciacorta that was named as the Sparkling Wine of the Year by Gambero Rosso. One taste of this wine was evidence of why this wine has been so honored. Very rich on the palate with outstanding persistence, this wine goes beyond simple varietal fruit to capture honey and caramel flavors. The wine is simply tantalizing! Other excellent sparklers included the La Montina Extra Brut 2005, a rich, fruit-driven Franciacorta with beautiful acidity and distinct minerality; the Giulio Ferrari 2001, a powerhouse of a sparkling wine from this great producer in Trento - here is a wine that should drink well for another 7-10 years; the Ricci Curbastro Extra Brut 2007, rich on the palate and slightly austere and finally the lovely Merotto Conegliano Valdobbiadene "Brut Rive di Col San Martino, " a Prosecco with typically charming aromas as well as fine structure and excellent persistence and freshness. There were several whites that I thought were excellent, especially the Sergio Mottura Grechetto "Poggio della Costa" 2010. Giuseppe Mottura brings out the varietal purity of the Grechetto variety like few others and he also makes a deeply concentrated wine, aged only in steel, that is as delicious as it is flavorful. This is the "new" style of Italian white wine - clean, fruit-driven and impeccably balanced with lively acidity. This is a real treasure! I also thoroughly enjoyed the Cantina Produttori San Paolo Pinot Bianco Riserva 2010. While Pinot Bianco, the most widely planted variety in Alto Adige can be rather ordinary, the wine takes on special characteristics when produced like this example. Made from vines that have an average age of 50 years, this has ripe red apple and quince aromas, a generous-mid palate and a long finish with beautiful structure. As for red wines, there were several dozen that were first-rate. Let's start with the Famiglia Cecchi Chianti Classico Riserva 2008, an elegant Chianti Classico that tastes like the Tuscan wines many of us grew up with; in other words, a traditional wine with modest wood, delicate cherry fruit and tart acidity- and a lovely food wine. There were several accomplished bottlings of Barolo here, including the 2007 Ettore Germano "Ceretta", medium-full with elegant tannins and forward, spicy fruit; the amazing 2004 Vietti Villero Riserva and the perfectly balanced Massolino Vigna Rionda Riserva 2005. Many observers will tell you that 2005 was a lesser vintage, but here is evidence that it was not, especially when a vintner such as Franco Massolino makes the wine. The Vigna Rionda Riserva has been an exceptional wine for several vintages now; medium-full with textbook cherry, orange peel, tar and cedar aromas, the 2005 offers lovely harmony of every component. It's a classically styled Barolo and one that will be in great shape for 15-20 years. Finally a salute to Cleto Chiarli, arguably the finest producer of Lambrusco. You might be surprised to find Lambrusco at a tasting such as this, but you've probably never had examples this stylish. Two examples were poured: the 2010 Vecchia Modena Premium, with beautiful garnet color, delicious raspberry and cherry fruit and a round, slightly sparkling finish. The "Enrico Cialdini" bottling from Chiarli is darker in color and a touch ripe and richer on the palate, but it is just as charming as the other version. Thanks to the team from Gambero Rosso for their organization and hard work- special thanks to Tiina Eriksson and Eleonora Guerini for their help. This tasting continues to improve each year. I can't wait until the 2013 event! Visit and see these free shipping on wine deals. For some years now, I've enjoyed a delicious red wine from the Chilean producer Maquis called Lien. This blend from the Colchagua Valley has deep color, ripe black fruit, moderate oak, good acidity and is a very drinkable wine that offers a lot of pleasure for $18. Now that I've tried two other new red wine releases from this winery, I'd thought I'd write about these products in some detail. Back in 1927, the Hurtado family planted vines in the Colchagua Valley on property situated between two rivers. For many years, this fruit was sold to other producers, but twelve years ago, the family decided to replant these vineyards with the finest clones from both Chile and France. In 2002, they built a gravity flow winery and made their first bottling of Lien, a "Super-Chilean" red, a blend of Carmenére, Syrah, Cabenet Franc, Petit Verdot and Malbec. Offering ripe black cherry and mulberry fruit along with notes of bitter chocolate in the aromas and finish, this is a medium-bodied, irresistible red that can accompany most red meats (I love it with lamb). 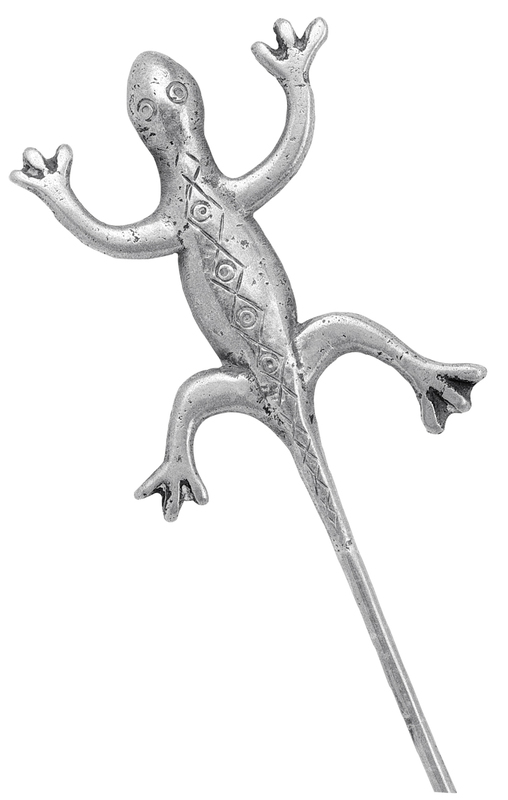 The word "Lien" incidentally means "silver metal", referring to the Spanish coins that were once melted to produce impressive jewelry such as the silver lizard (represented near the top of this post) that graces the label of this wine. The two new releases from the Maquis estate vineyards are from 2009 and are Cabernet Sauvignon and Carmenére. What I like about these wines - as well as the Mien - is the restraint. Colchagua is a warm inland valley where many of Chile's most famous red wines are produced. However, I've found myself shying away from many reds from Colchagua as they are too ripe and almost jammy in certain instances. Thankfully, that is not the case with the Maquis wines. 2009 Cabernet Sauvignon- Bright, deep ruby red/light purple with textbook aromas of black currant, cherry and hints of tobacco. Medium-full, there is good ripeness, subtle oak influence, round tannins and good acidity. A delight to drink now, enjoy over the next 3-5 years. Very fairly priced at $20. 2009 Carmenére - As much as I enjoyed the Cabernet Sauvignon, the Carmenére is even better. Bright ruby red with aromas of black cherry and plum along with notes of white pepper. Medium-full, this has good depth of fruit, moderate tannins, balanced acidity and a light herbal note in the finish. Very good varietal character; this should be enjoyed over the next 2-3 years. Excellent wine that is a fine value at its $20 price tag. What I really enjoyed about this Carmenére was its combination of balance as well as varietal character. While there have been some ultra impressive bottlings of Carmenére from various Chilean vintners at $40, 50 and $75 a bottle, producers are still finding their way with this variety when the wine retails at $25 and under. I've had too many examples of moderately priced Carmenére that are either overly herbaceous with almost a green, tart edge to them or else they are overwhelmed by peppery notes in the aromas. Thus the Maquis bottling, striking perfect balance between fruit and a light herbal nature, is an excellent achievement at the $20 price. I love the wines and I also treasure the labels- take a look at them. Beautiful packaging and wines that offer great pleasure- a winning combination from Maquis! 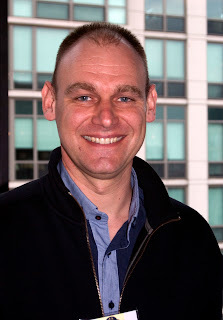 The wines of Maquis are imported in the US by Global Vineyard Importers, Berkeley, CA. 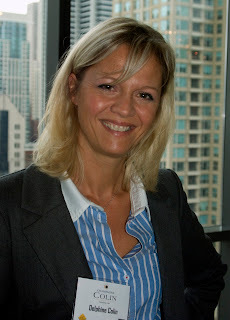 The Frederick Wildman Burgundy event came to Chicago last week and I was there, tasting new releases of white and red Burgundy - including Beaujolais - from the 2010 vintage. I rarely get the chance to taste many Burgundies, so what a wonderful opportunity to taste more than 50 examples of these wines at one setting. How is the vintage shaping up? Very well, indeed; although chances are you haven't heard much about it. The primary reason for that is because of the press that has surrounded the wines from 2009. 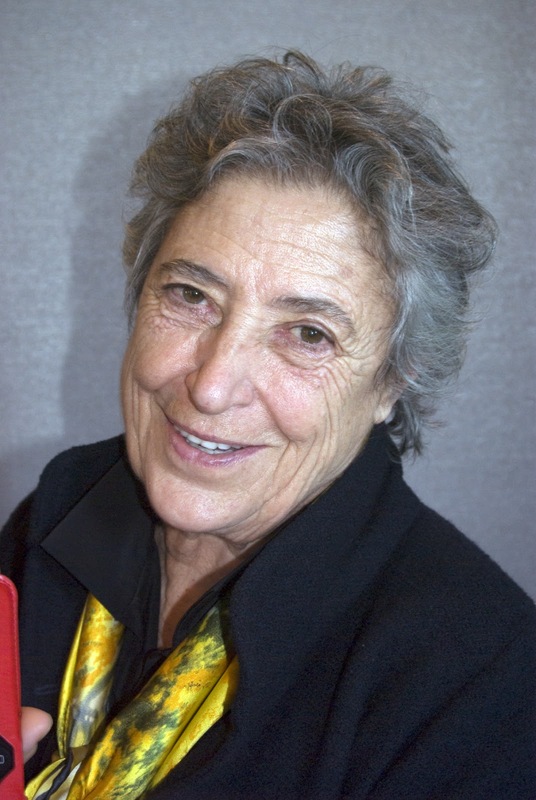 That was a warm year and produced Burgundies that are ripe and rich - in some cases even a bit fat - that certain influential wine critics believe are outstanding wines. To each his own, but quite often these flashy wines that offer early appeal don't have the proper structure for long term aging. Weather-wise, 2010 was a year of no big surprises in Burgundy and produced wines that have excellent acidity and structure. 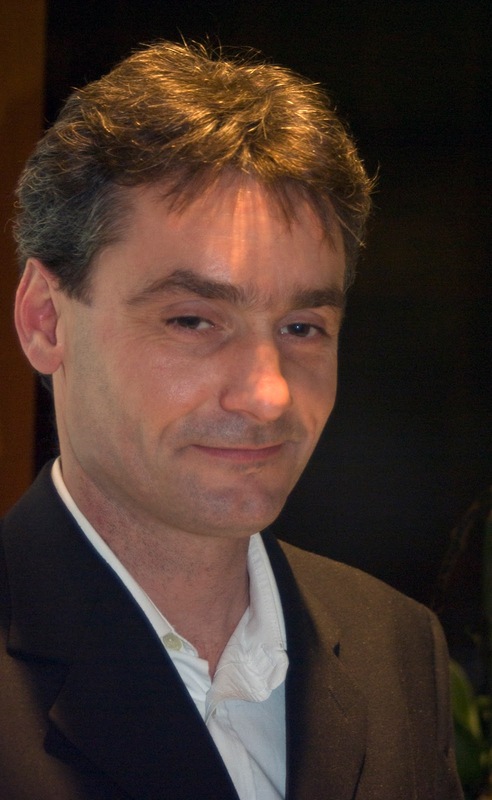 Listen to what Stéphane Aviron from Potel-Aviron, an outstanding Beaujolais producer has to say about his 2010 wines. 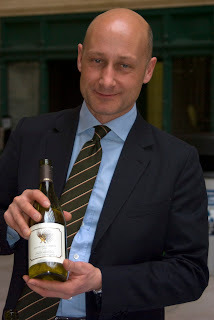 "With 2010, we can find the difference among the various cru much better than we could in 2009. The wines are much more typical." 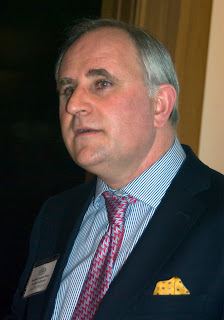 Franck Grux of Domaine Olivier Leflaive also had some excellent comments about the 2010 Burgundies. "The grapes were slow to mature, resulting in ideal acidity. These are the best balanced wines we have seen since 1990." As for highlights at the tasting, there were quite a few, beginning with the white wines from Domaine Vincent from the Macon. Their Pouilly-Fuissé "Marie-Antoinette" is a charming wine with attractive apple and pear fruit and lively acidity, while their estate Pouilly Fuissé "Les Brulés", offers more depth of fruit as well as beautiful aromas of vanilla and spiced pear. The entire range of Pouilly-Fuissé from this producer has been quite impressive for many years now and their excellence is once again on display with the 2010s. 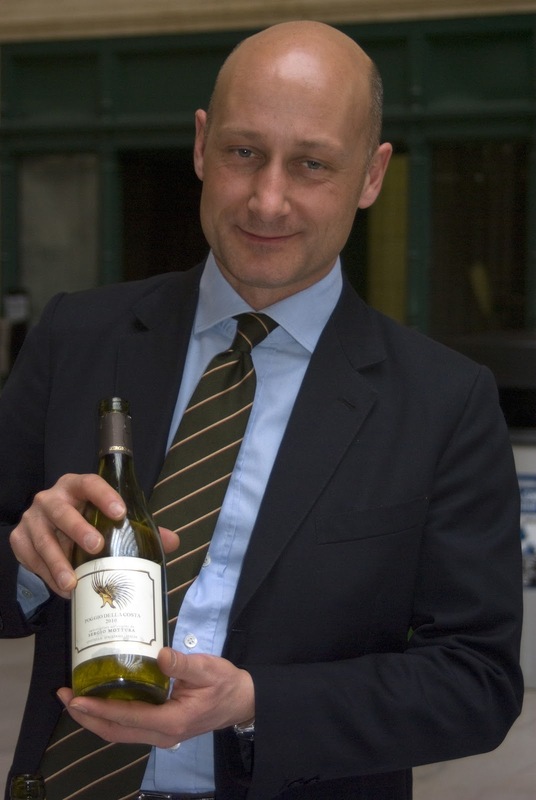 Of course, one would expect nothing but the finest white wines from Olivier Leflaive. 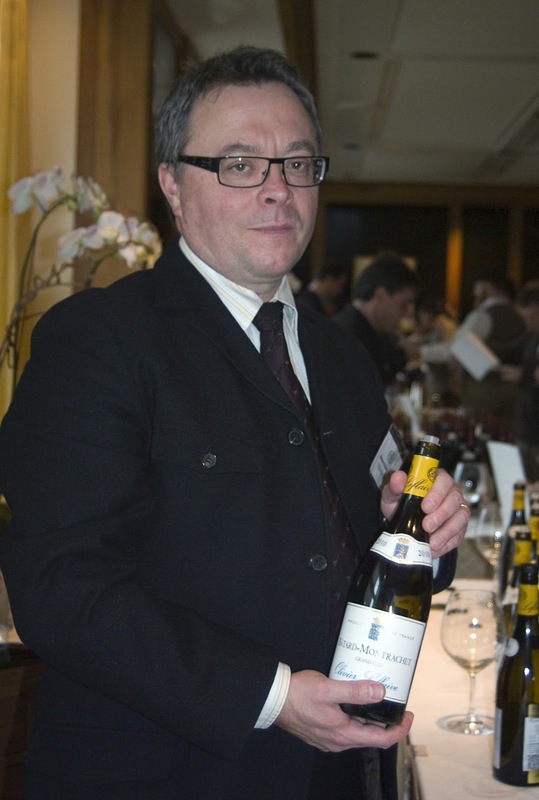 Among the finest wines from this producer included the Chassagne-Montrachet "Clos Sant-Marc" with impressive concentration and beautiful varietal purity along with the Puligny-Montrachet "Champs-Gain", that is fuller than the Chassagne and also features lovely quince and lemon oil perfumes. Various offering of Chablis from Christian Moreau were also poured; the best I tasted were the "Les Clos" which has a distinct minerality and very good acidity and the "Valmur" which is riper and more intense than the "Les Clos." As for the reds, let's start with the Beaujolais from Potel-Aviron. The Chenas, from vineyards planted in 1930, is quite rich with moderate tannins and can be enjoyed for 5-7 years. The Moulin-a-Vent is a bit richer, as one might expect and has very good acidity. But the most impressive is the Morgon "Cote de Py" which is from a site that is a former volcano. This is very rich for a Beaujolais and offers tantalizing wild strawberry fruit as well as excellent persistence; it's a great Beaujolais! Another excellent Beaujolais was the Moulin-a-Vent "Les Clos" from Domaine Labruyeré, a small project of Domaine Jacques Prieur. This Moulin-a-Vent vineyard is 75 years old and is located just under the famous windmill that gives its name to this cru. Full-bodied with ripe cherry and raspberry fruit, this is tightly packed with layers of fruit and will demand at least 2-3 years of aging before it reveals all its excellence. Notable reds from Prieur included the Beaune "Champs-Pinot" a ripe and rather meaty version of this cru along with the powerful Corton-Bressandes and of course, the Clos Vougeot, offering excellent depth of fruit along with exotic wild strawberry and cassis fruit. Finally, a few highlights from Armand Rousseau. The straight Gevrey-Chambertin has lovely perfumes and excellent persistence, while the Clos de la Roche has intense aromas of bacon (I love it!) and cherry with a powerful finish with excellent persistence. Then there is the Chambertin, a wine of amazing concentration and complexity that has enough fruit to stand up to all the new oak. This will need a lot of time to show its true potential - I estimate the wine will be at its best in 20-25 years - but this is truly in a class by itself! It's that time of the year again- the Gambero Rosso Tre Bicchieri tastings will be held in San Francisco, New York and Chicago beginning next week. These tastings feature wines that have been awarded a Tre Bicchieri (three glasses) rating - the highest possible - from Gambero Rosso, Italy's leading wine guide. More than 100 wineries will participate, representing 19 of the 20 regions of Italy. The variety of wines, as you would expect at a tasting of this caliber, will be remarkable. You will be able to taste Barolo from producers such as Massolino, Elvio Cogno and Fontanfredda along with Brunello di Montalcino from Biondi-Santi, Canalicchio di Sopra and La Togata. There will also be some great Tuscan reds from Antinori, Colle Massari, Fontodi and Felsina along with some gorgeous reds from Valle Reale and La Valentina from Abruzzo as well as top red wines from Mastroberardino (Campania), Cottanera and Planeta from Sicily and some lovely examples of Amarone from Speri, Tenuta Sant'Antonio and Musella. As far as sparkling and white wines, there is also an impressive representation. Some of Franciacorta's finest wines from producers such as Guido Berlucchi, Ferghettina, La Montina and Ricci Curbastro will be poured along with Ferrari from Trentino. As for white wines, you will be able to sample from Cantina Tramin, Cantina Terlano and Elena Walch from Alto Adige; Livon, Collavini and Zuani from Friuli along with Soave from Pieropan and Verdicchio from Garofoli and Umani Ronchi. Here are the details on the tastings. You need to register and can do so by emailing Volkmer Public Relations. 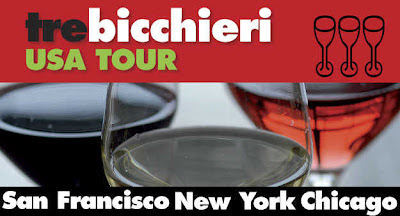 I have attended the Tre Bicchieri tasting in New York City as well as the last two years in Chicago and can tell you that this is a superb event with more great Italian wines at one location than any other tasting in America. If you are an Italian wine lover, this is a can't miss degustazione! During my most recent trip to Verona, I visited Bolla at their headquarters in Pedemonte in the heart of the Valpolicella Classico zone. I imagine that everyone - Italian wine lover or not - must know this name and has probably tasted at least one of their moderately priced Veronese wines (Soave, Valpolicella or Bardolino) at some point. Chances are you don't give much thought to Bolla, at least if you consider yourself a "serious" wine drinker. I must admit that I rarely consider their products when writing about Italian wines. So it was nice that I had the chance to make this recent visit with a group of journalists to taste the latest releases. I've found that it's best to go into these tastings with an open mind, which is exactly what I did. And you know what? I found myself liking these wines; the Bolla products are clean, well made and balanced. Are they great wines? Of course not, but they're not trying to make great wines. What Bolla is doing is producing everyday wines at reasonable prices for a large spectrum of the wine market and they're doing it very well. Unless you've never tasted wine in your life, you must surely know that Bolla makes Soave. 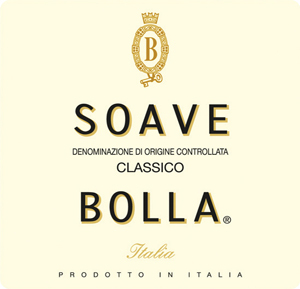 Indeed this association is so strong that during the 1980s in America, people thought "Soave Bolla" was one word. Millions of cases were sold and it was one of the first Italian wine phenomenons in this country. Soave took a hit for many years, but Bolla has continued to stick with their bread and butter. The 2010 Classico - emblazoned with a "retro" label from the 1970s (nice touch) - is a clean, fresh version with typical honeydew melon fruit. It's got good, but not overwhelmingly high acidity. For $9, you get your money's worth. 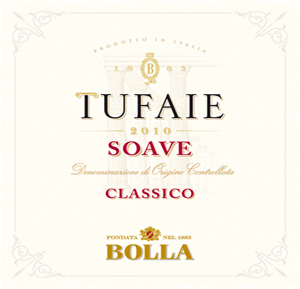 A step up is the Soave Classico named "Tufaie" (too-fye). This blend of 90% Garganega with 10% Trebbiano di Soave is a selection of some of the best grapes the winery receives from their growers. There is a little touch of honey in the aromas - this coming from the Trebbiano - that adds to the complexity and overall pleasure of this wine. Medium-bodied, it has good acidity and a nice texture on the palate along with more persistence in the finish. At $13, this is a very nice bottle of Soave Classico. 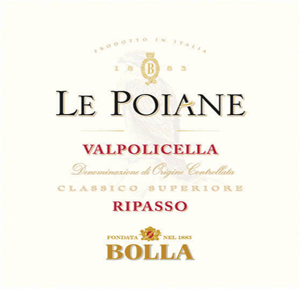 As for the value reds, the "Le Poiane" Valpolicella Classico Superiore is worth your attention. As you can see from the label, this is a ripasso wine, meaning this is a Valpolicella that is fermented at some point with the musts of Amarone, which increases color as well as spice. Ripasso, being much less expensive than Amarone, which has a strict production process, has become very popular in America these days, as it's richer than a Valpolicella normale, giving meaning to its description as a "baby Amarone." I don't really buy into that belief, but it does offer more than a typical Valpolicella. This Bolla version has red plum and morel cherry fruit, very good acidity and distinct notes of black spice in the finish. It's a cleanly made wine with good Ripasso character and while it's not terribly complex, it is nicely balanced and in reality, a fine introduction to what Ripasso is all about. For $15, this is a well made wine (the 2009 was the vintage I tried at the winery). Bolla is credited with creating the first Amarone back in the early 1950s and they've always made a typical bottling. I tasted the 2008 Amarone and it's a nice representation of this wine, with red and brown spice notes on the nose and in the finish along with red cherry and currant fruit, good concentration and medium-weight tannins. At $42, this is a fair price for a nicely made Amarone such as this, though I'd like a bit more depth of fruit overall along with better persistence in the finish. 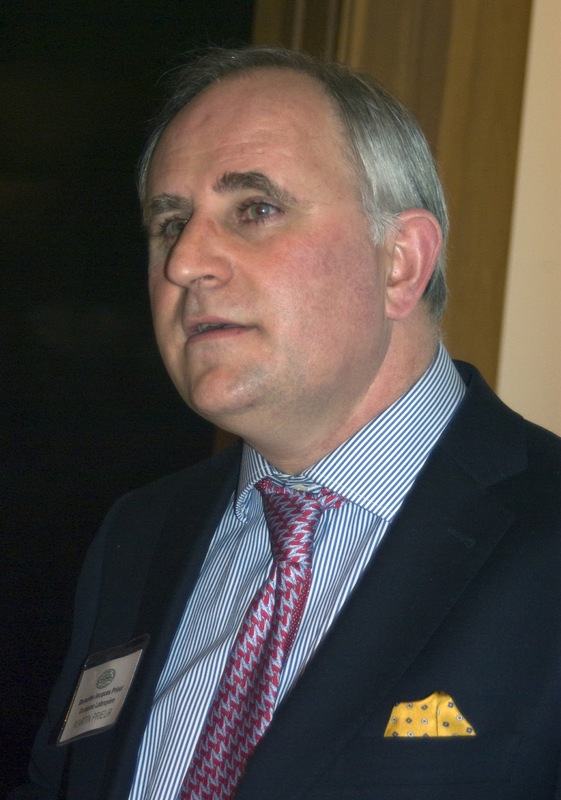 Bolla is now owned by Gruppo Italiano Vini (G.I.V. ), a company that owns more than a dozen wineries throughout Italy from north to south. They have continued the everyday work that goes on here, the emphasis of which is producing everyday white and red Veronese wines. My hope is that they can introduce a few special projects, perhaps focusing on some limited releases, perhaps for restaurants only. We all know what Bolla can do - it would be fascinating to see what they can realize. The wines are Bolla are imported into the United States by Banfi Vinters. The Slow Wine tasting came to Chicago the other day after a quick stop in New York City; showcasing a wide array of producers from the width and breadth of Italy, this was a first-rate event. The tastings are the result of the Slow Wine Guide which is published by the Slow Food organization located in the small town of Bra in the northern Italian region of Piemonte. The guide was first published in 2011 in Italian and now with the 2012 guide there is also an English version. There are several important guidebooks about Italian wines published each year - most are in Italian for the local market, but a few are also released in English. The Slow Wine guide focuses on three points: the best wines and producers, the best value wines (something more guides should take time exploring- good for Slow Wine) and also for producers that incorporate Slow Food values, such as territory, environment and sensory perception. Thus you had a nice mix of producers at this event, ranging from the icons of Italian wine, such as Paolo De Marchi of Isole e Olena and Elisabetta Fagiuoli of Montenidoli to lesser-known, but first-rate producers such as La Gironda from Asti, Marotti Campi of Marche and Rosa di Golfo from Puglia. It was also nice to see that certain producers poured their best wine as well as an everyday wine. A great example was presented by De Marchi who poured his Super Tuscan named Cepparello as well as his 2009 Chianti Classico normale, a wine I listed as among the finest Italian red wines from last year and one that is given the highest honors in the Slow Wine guide. A few highlights from the tasting, starting with the values. The 2010 Velenosi Lacrima di Morro d'Alba is intensely fruity and a wonderful expression of this indigenous variety of Marche - think blackberry and black raspberry fruit and very soft tannins. The 2009 Lacrima Riserva "Orgiolo" from Marotti Campi was just as delightful, its vibrant fruit settling down after an additional year in the bottle. The 2009 San Lorenzo Montepulciano d'Abruzzo "Antares" is a marvelous wine at a reasonable price. Medium-bodied, it's full of tasty black plum and black raspberry fruit with an elegant finish. A gorgeous value white is the 2010 Villa Bucci Verdicchio dei Castelli di Jesi, with its appealing pear and melon fruit and its lively acidity. 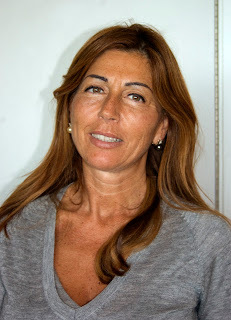 As for the top wines, there were so many wonderful options starting with the 2008 Grattamacco Bolgheri Superiore, a wine of such impressive breeding, elegance and complexity; one that combines great power with finesse and amazing varietal purity. Among the most notable examples of Barolo at the tasting were the 2007 Cannubi from Luigi Einaudi, a wine of considerable grace as well as the 2007 San Lorenzo from Fratelli Alessandria, a beautifully layered and complete wine. The 2007 Bricco delle Viole from Vajra is a wonderfully supple and approachable Barolo, while the 2007 Lazzarito from E. Mirafiore beautifully displays local terroir as well as varietal character in a wine of power and grace. A job well done by the Slow Wine group for giving us a different type of Italian wine tasting. Let's hope they return every year!